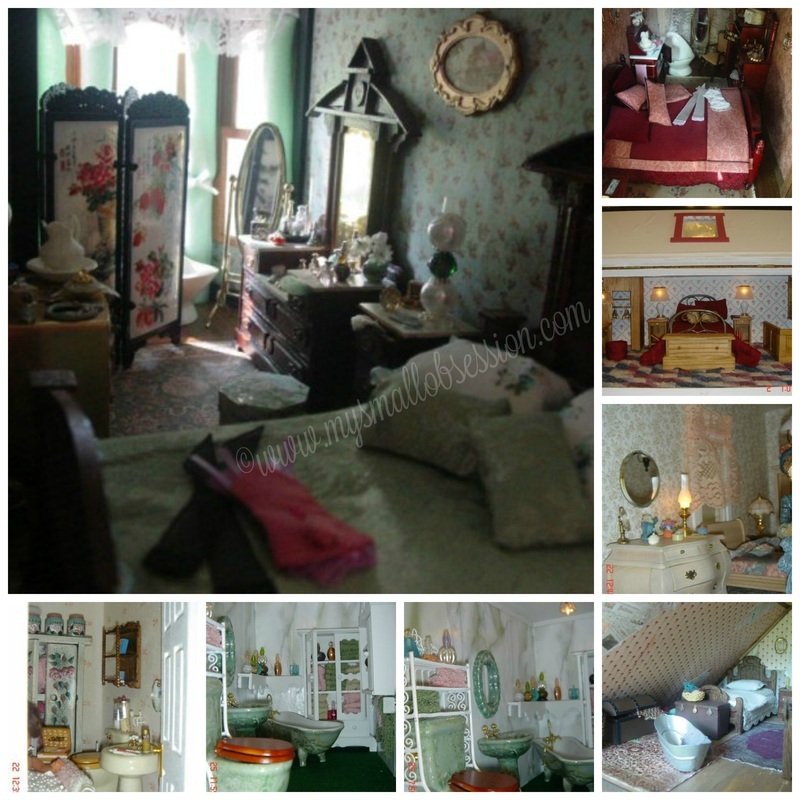 A collection of video tutorials showing how to create a variety of furniture & accessories for the dollhouse bedroom and bath. Playlist includes 17 tutorials~ Miniature bunk beds, vintage wardrobe, 7 different beds, 2 dressers, 3 vanities, 2 chests & a nightstand. Playlist includes 9 tutorials~ jewelry boxes & jewelry, hand mirror, perfume bottles, beauty products, nail polish & makeup. Playlist includes 4 tutorials~ bathtub with shower, sink & 2 toilets. Playlist includes 8 tutorials for hair dryer, brush, personal care items, box of pills, wash basin, curling iron, flat iron, and bath towels. Follow My Small Obsession's board Miniature Bed & Bedding Tutorials on Pinterest. Follow My Small Obsession's board Miniature Bedroom Accessories Tutorials on Pinterest. Follow My Small Obsession's board Miniature Bath Tutorials on Pinterest.